Do you have a budding vocalist in your family? Kid friendly karaoke machines are a fun and interactive way to bring music into your child’s life. They provide a means of entertainment and imaginative play that is wholly immersive. 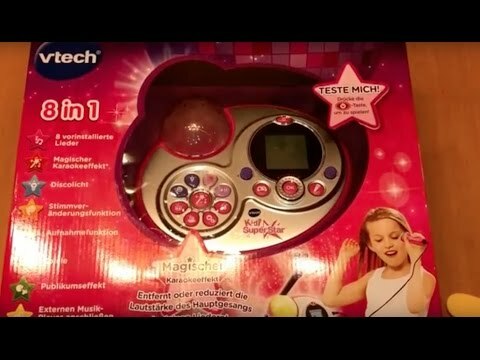 What is the Best Kid Friendly Karaoke Machine in 2019? 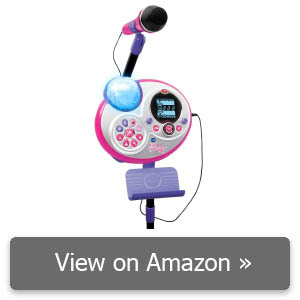 To help you find the Best kid friendly karaoke machine, we sorted through hundreds of products. Finally, we narrowed down our options to five incredible products. Read along to learn more about these musical devices and see what they have to offer. 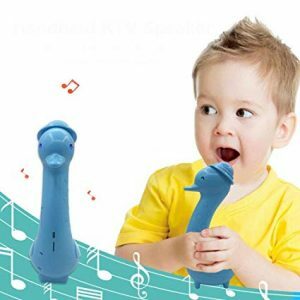 The Seelin Wireless Bluetooth Karaoke Microphone is designed with children in mind. It features a monkey-shaped mike, glistening gold grating, and easy-to-use push buttons. The 2,000-milliamp hours of rechargeable battery power ensure that kids can have hours of uninterrupted fun. Keep in mind that a thorough charge can provide anywhere from six to eight hours of nonstop amusement. It is also important to note that each microphone comes with both USB and audio cables. Nevertheless, it is a cordless appliance. The Seelin microphone boasts excellent sound quality and volume. It captures sound accurately and transfers it to any Bluetooth-compatible device you have on hand, including iPhones, iPads, tablets, and much more. The microphone also serves as a speaker. The device automatically reduces background noise and balances the input. Many sound settings can be controlled directly from the device. We love that the Seelin microphone boasts several voice-changing settings. Meanwhile, it can be used to record, playback, and transfer sound. Whether you want to alter your voice or utilize a Metronome-like beat in the background, this hand-held sound amplifier can do it. The VTech Kidi Super Star Karaoke System comes with a contemporary mic stand as well as a handheld microphone. It features a pink, purple, and blue color palette. The long list of special effects provided by this Vtech appliance includes disco lights, simulated applause, and onscreen animations. It also boasts a total of eight built-in sing-along songs. Meanwhile, children can sync the device to an MP3 player to expand the number of karaoke tracks available to them. The karaoke system can be used to record up to five minutes of performances. It can also be used to playback the recording. In addition, the Super Star system boasts six music and rhythm memory games that can be used to enhance musical creativity, memory, and rhythm. If you’re looking for a karaoke device that is going to enhance your child’s musical knowledge, this machine is definitely worth a look. The mic stand can expand from 28.5 to 53.5 feet. As such, it can be adapted to a child’s changing height as it grows. It also boasts a Music Magic mode, which allows users to remove or reduce the main vocal track from a song. This ensures that they can belt out their favorite lyrics without being overpowered by background noise. 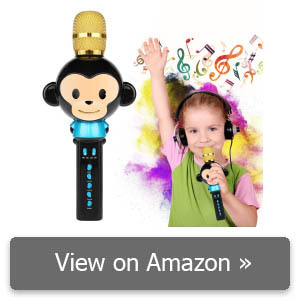 The Tosing Wireless Karaoke Microphone is an easy-to-use handheld device that is suitable for children as young as four. It features a Bluetooth microphone that can connect to smartphones, tablets, and PCs. You can use it to play music or utilize the built-in microphone to sing along and project your voice. The product comes in a variety of colors and designs and is covered in a protective silicone case to prevent it from being damaged. 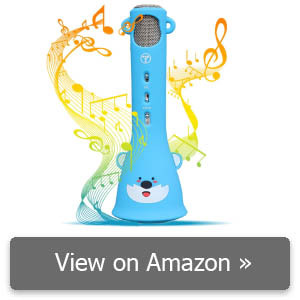 Your children can enjoy up to five hours of continuous karaoke thanks to the powerful rechargeable battery. Overall, it has a 1,000 mAh. Not to mention, it comes with a USB charging cord as well as an audio recording cable. It also comes with an easy-to-use zipper case, ensuring it has a safe, protective place when not in use. One of the greatest things about the Tosing Wireless karaoke microphone is that it can be used both with and without music. This enables both children and adults to use the device to amplify their voice during crowded gatherings. The volume is at just the right level, and the sound quality is spot on. If you’re looking for a karaoke machine that is more suitable for sharing, the Kidzlane Karaoke Machine is worth a look. This ultra-durable device consists of a compact orange and white base and side-by-side corded microphones. While it has your typical childproof look, consisting of bright colors and chunky plastic, it offers a profound musical experience. 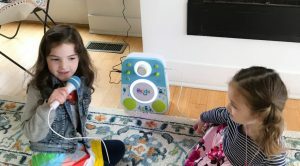 With Bluetooth compatibility and a built-in MP3 player, both children and adults can benefit from a seemingly endless stream of sing-along songs to choose from. We also love that the KidzLane karaoke machine is easy to carry and built to endure rigorous child’s play. The machine offers 512 milliliters of SD storage. That’s room for around 100 songs, allowing you to create a cache that accounts for hours upon hours of musical entertainment. If you work your way through all 100 songs, you can also stream music through Bluetooth, USB, AUX, or FM radio. Overall, the KidzLane karaoke machine offers an abundance of musical options you are unable to obtain similar products. This system offers not only superior sound quality, but also it allows users to adjust a number of settings with the push of a button. For example, you have the ability to separately control the microphone and MP3 player. You also have the option between two different power sources. First, use any 5-volt USB cord to connect it to a constant flow of electricity. Or else, use four AA batteries for a portable sound experience. There’s a lot to love about the aPerfectLife Rechargeable Kids Karaoke Machine. For starters, this device features an easy to use mic stand with a fully functioning karaoke base. It is adjustable in height and is made from bright colored eco-friendly nontoxic plastic. It boasts loads of musical buttons for instantaneous song embellishments. What’s more, all parts are fully functional and offer premium sound quality. One of the most notable perks of the aPerfectLife machine is its ability to be charged from a typical household wall outlet. While many children’s karaoke machine requires batteries, this audio interface eliminates the need altogether. Its enclosed lithium-ion battery also makes it safer for young children. 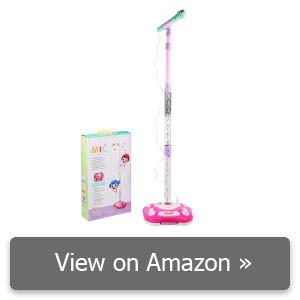 When paired with height adjustability, this device can be used for children ages 3 and up. Karaoke machines have a way of sparking a child’s imagination and bringing them to life. The aPerfectLife machine is designed for creative play and entertainment. 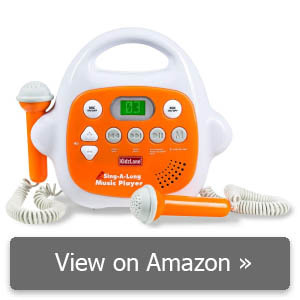 Drum foot petals and MP3 compatibility allow your child to experiment with a wide range of sing-along songs in addition to belting out their own creations. It makes a great gift for families looking for a screen-free indoor activity. There’s a lot to consider when purchasing a karaoke machine for a child. Read along to discover important considerations to make. First and foremost, a kid friendly karaoke machine should be a simplified version of the real thing. Children should have minimal control over the sound settings and be able to navigate through any available music. In total, there should be no more than a handful of easy to identify buttons, including options such as volume, record, stop, and playback. Settings such as bass, treble, and speaker balance are best left for adult vocalists. It is important to note that too many options can lead to frustration. While many of us think of karaoke machines as having preloaded songs, this is not so much the case nowadays. Instead, modern karaoke machines offer a variety of music syncing options, including Bluetooth compatibility, USB cord ports, AUX cord ports, and built-in radios. 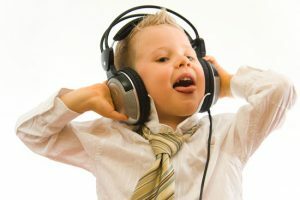 Bluetooth compatibility is by far the user-friendliest options because it allows parents to create child-approved playlists on their personal device and connect it to the child’s karaoke machine. This ensures that the machine does not become obsolete due to your child’s evolving musical interests. It also enables a personalized experience for all users. Children can be incredibly rough on their possessions, dragging them around and dropping them carelessly. As such, you want to invest in a karaoke machine that is made from durable plastic. 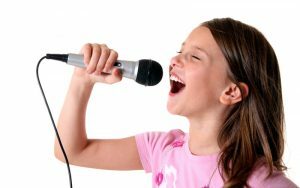 It is also a good idea to opt for a portable device or handheld microphone to ensure your child can take their karaoke machine with them wherever they go. When settling on a budget for a karaoke machine, we recommend you consider the longevity of your child’s other toys. Items designed for children are not always going to stand the test of time, and that’s okay. Focus on finding a karaoke machine with a reasonable warranty and reliable replacement or repair service. This way, if the machine you purchase is defective or dies prematurely, you won’t be at a total loss. We truly enjoyed exploring child-friendly karaoke machines. While these musical devices were designed with children in mind, they are a fun and entertaining product for adults too. Not only that, but they offer a creative and imaginative outlet for children to explore. Comments for "Best Kid Friendly Karaoke Machine"
I have changed a lot of professions, but the main role in my life is being a mother. Part of me is still a child at heart, which must be why I write the reviews of children’s goods. I believe that every mother wants to have only best for her child, and I hope that my reviews will help to choose perfect things for each of them. SmartToysKids.com is a participant in the Amazon Services LLC Associates Program, an affiliate advertising program designed to provide a means for sites to earn advertising fees by advertising and linking to Amazon.com.